"They can do whatever they believe," Interior Minister Matteo Salvini tweeted, shrugging off the development that migrants were refusing meals aboard the Italian coast guard vessel Diciotti. 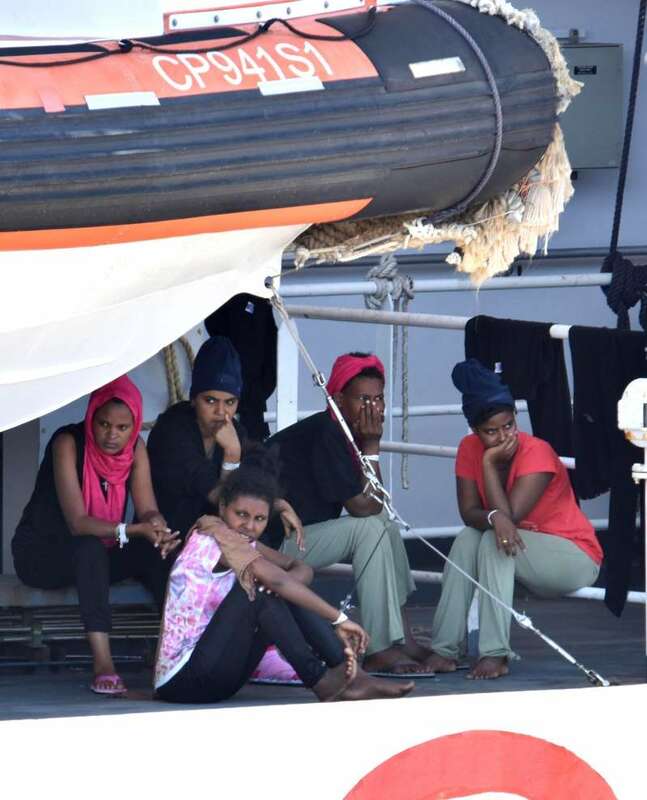 The ship rescued them on Aug. 16 from a foundering human trafficker's boat in the central Mediterranean, and for days now has been docked in the port of Catania, Sicily. [post_ads]All but about 18 of those aboard are Eritrean; the others are from Somalia, Syria and Sudan. They have told authorities they suffered months and even years of inhumane treatment in detention in Libya, while waiting to leave that lawless country aboard smugglers' boats. A meeting in Brussels Friday of advisers from 12 countries, including Italy, grappled with how to share the migrant burden in general among EU members, and when it ended Italian Premier Giuseppe Conte complained on Facebook that no progress was made. "Yet again, we take the measure of the dysfunction, which morphs into hypocrisy, between words and deeds," Conte said of the latest discussion in Brussels. Conte said EU members at the meeting "lost a good occasion" to make progress toward solidarity and responsibility "even though they are constantly proclaimed as fundamental values" of the bloc. The meeting's official agenda didn't include the Diciotti's drama. In Brussels, EU Commission spokesman Alexander Winterstein retorted that "the European Union is a community of rules and it operates on the basis of rules, not threats." He urged "all parties involved to work constructively together to find a swift solution." EU Parliament president Antonio Tajani told Sky TG24 standoffs over rescued migrants wouldn't happen any more if EU countries, especially in Eastern Europe, had favored reform of the so-called Dublin arrangement, which requires migrants seeking EU asylum to apply for it in the country where they arrive. Separately, the Italian foreign ministry said that on Thursday Hungary had rebuffed Italy's request that it take some of the migrants aboard the Diciotti. Salvini has professed admiration in the past for Hungary's tough stance on migrants.